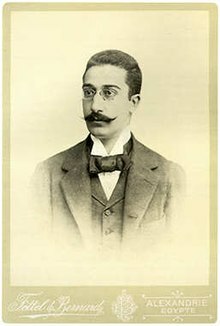 Constantine P. Cavafy (an aa kent as Konstantin or Konstantinos Petrou Kavafis, or Kavaphes; Greek: Κωνσταντίνος Π. Καβάφης; Aprile 29 (Aprile 17, AS), 1863 – Aprile 29, 1933) wis an Egyptian Greek poet, jurnalist an ceevil servant. His consciously indiveedual style earned him a place amang the maist important figurs nae anly in Greek poetry, but in Wastren poetry as well. This page wis last eeditit on 2 Mey 2018, at 15:56.